Holy Cross Council took part in the semi-annual Cleaning the Capital campaign again this spring. Saturday, May 4, was a perfect day for the event: a clear sky, no wind, dry ground and temperatures in the high teens in the morning. 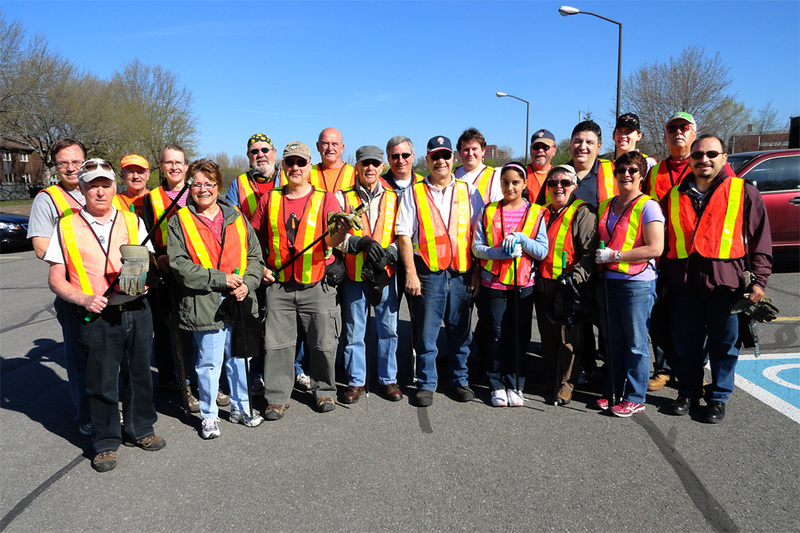 Twenty-one Knights and family members picked up litter along the Airport Parkway between Walkley Road and Hunt Club Road. As usual, the spring cleanup was more demanding than the fall session; Canadians seem to throw out more litter during the winter. Members of the team relax over coffee and donuts.